Gerard McGivern is a Fellow of the Chartered Institute of Marketing and a Fellow of the Institute of Economic Development. He has been involved at a senior level in a number of district councils in various marketing roles including leading the formulation and delivery of the Mourne Mountains and Ring of Gullion Tourism Marketing Brand. He was also the founding Manager of Banbridge District Enterprises Ltd and has been involved in cross border initiatives. He has served as the Chair of the LMC since 6 November 2015. Patrick McElroy was appointed to the LMC Board in February 2014. 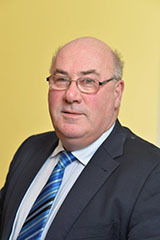 Mr McElroy is Company Secretary for Bourlion Limited and from 1997 to 2007 was Company Accountant at Omagh Meats. He has significant financial experience at a senior level in the meat processing industry and, in addition to his financial skills, brings experience and a good understanding of the issues facing the red meat processing sector to the work which the LMC does. Harry Sinclair was appointed to the LMC Board in July 2015. Mr Sinclair is a suckler cow, beef and sheep farmer producing Aberdeen Angus beef for premium markets and lamb for the UK markets. As a past President of the UFU, he has extensive experience of advocacy on behalf of the farming community. He has served as Chairman of the UFU’s Hill Farming and Beef and Lamb Committees and is a founder member of the Farm Safety Partnership. 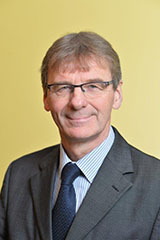 He has served as Vice-President of the Committee of Professional Agricultural Organisations (“COPA”) and has represented the UK on the EU Commission’s Sheep and Beef Advisory Committees. He has also served as Chairman of AgriSearch’s Beef Committee and as a producer representative on the Red Meat Taskforce. He brings significant experience of working on policy committees to the Board of the LMC. Mr Sinclair is also a board member of HSENI and Chairman of NIFCC. 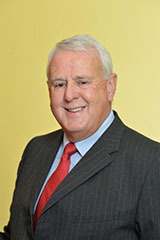 Jim Lennon was appointed to the LMC Board in July 2015. Mr Lennon is a beef farmer specialising in the production of Aberdeen Angus cattle. He is also involved in the Derrynoose Farming Community Group which promotes investment and training in livestock production.  He has significant wider senior public sector experience shown in both his current role as Head of Corporate Service for Middletown Centre for Autism and various senior roles in the National Health Service. He has also been involved in local economic and social regeneration matters. He is Chair of the Blood Transfusion Service. He has held this role from August 2007 and the current term of appointment ends in July 2016. Oonagh Chesney was appointed to the LMC Board in July 2015. 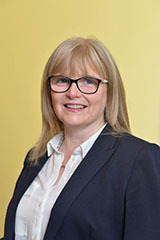 Ms Chesney is Company Secretary for Fane Valley Co-op Society Ltd and its group subsidiary companies including Linden Foods Ltd. She has an active role in the family beef farming business. She has represented Fane Valley on a number of bodies including the Area Based Strategy Action Group and cross community programmes in Armagh. She combines marketing experience with a good understanding of the challenges facing the LMC and will bring her experience of red meat production and processing to the Board of the LMC. Mrs Chesney holds no other public appointments. Gerry Maguire was appointed to the LMC Board in October 2015. 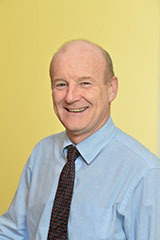 Mr Maguire has 37 years experience in the Red Meat processing industry. He is currently Managing Director of Linden Foods. He is directly responsible for the Linden Foods Group which has an annual turnover of £400million. 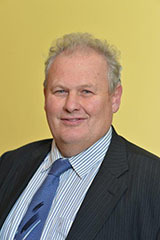 He is also Director of Slaney Foods and has previously served three years on Bord Bia’s Meat and Livestock Board.